National Comprehensive Cancer Network, NCCN has released its 2018 Guidelines on Chronic Myeloid Leukemia that have appeared in its Journal of National Comprehensive Cancer Network. Chronic myeloid leukaemia (CML) is defined by the presence of Philadelphia chromosome (Ph), resulting from a reciprocal translocation between chromosomes 9 and 22 [t(9;22] that gives rise to a BCR-ABL1 fusion gene. 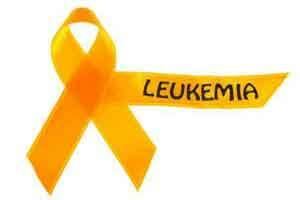 It accounts for 15% of adult leukaemias. The median age of disease onset is 67 years; however, CML occurs in all age groups (SEER statistics). In 2018, an estimated 8,430 people will be diagnosed with CML in the United States, and 1,090 people will die of the disease. Initial evaluation should consist of a history and a physical exam, including palpation of the spleen, a CBC with differential, a chemistry profile, and a hepatitis panel. Bone marrow aspirate and biopsy for morphologic and cytogenetic evaluation and quantitative reverse transcriptase polymerase chain reaction (qPCR) to establish the presence of quantifiable BCR-ABL1 mRNA transcripts at baseline are recommended to confirm the diagnosis of chronic myeloid leukaemia (CML). Bone marrow cytogenetics should be done at initial workup to detect additional chromosomal abnormalities in Ph-positive cells (ACA/Ph+), also known as clonal cytogenetic evolution. If bone marrow evaluation is not feasible, fluorescence in situ hybridization (FISH) on a peripheral blood specimen with dual probes for BCR and ABL1genes is acceptable. Quantitative RT-PCR (qPCR) should be performed at initial workup to establish the presence of quantifiable BCR-ABL1 mRNA transcripts at baseline. Imatinib (400 mg daily) and second-generation tyrosine kinase inhibitors (TKIs) dasatinib (100 mg once daily), nilotinib (300 mg twice daily), and bosutinib (400 mg daily) are all appropriate options for first-line TKI therapy for patients with chronic phase CML (CP-CML) across all risk scores. The preferred method for monitoring response to TKI therapy is a measurement of the decrease in the amount of BCR-ABL1 chimeric mRNA using qPCR standardized by international scale (IS). Patients with ≤10% BCR-ABL1 IS at 3 and 6 months and ≤1% BCR-ABL1 IS at 12 and 15 months after first-line TKI therapy are considered to have a TKI-sensitive disease and can be continued on the same dose of TKI with an assessment of BCR-ABL1 transcripts with qPCR (IS) every 3 months. Patients with >10% BCR-ABL1 IS at ≥6 months and those with BCR-ABL1 IS >1% at 15 months are considered to have a TKI-resistant disease and should be evaluated for allogeneic hematopoietic cell transplantation (HCT). BCR-ABL kinase domain mutation analysis and assessment of possible drug interactions and compliance with therapy are recommended before the start of second-line TKI therapy. Switching to an alternate TKI is recommended for patients with disease that is resistant to imatinib 400 mg daily. Switching to an alternate TKI (other than imatinib) in the second-line setting could be considered for patients with disease that is resistant to dasatinib, nilotinib, or bosutinib. However, there is no clear evidence that this improves long-term clinical outcome. Ponatinib is an option for patients with T315I mutation and for those with a disease that has not responded to several TKIs. Discontinuation of TKI therapy (with close monitoring) is feasible in carefully selected patients with early CP-CML who have achieved and maintained a deep molecular response (≥MR4.0) for ≥2 years.